It’s been said that few things are more satisfying than cracking open a cold one with the boys, but whoever said that has obviously never experienced the ultimate satisfaction of taking a brewery tour on their bike. 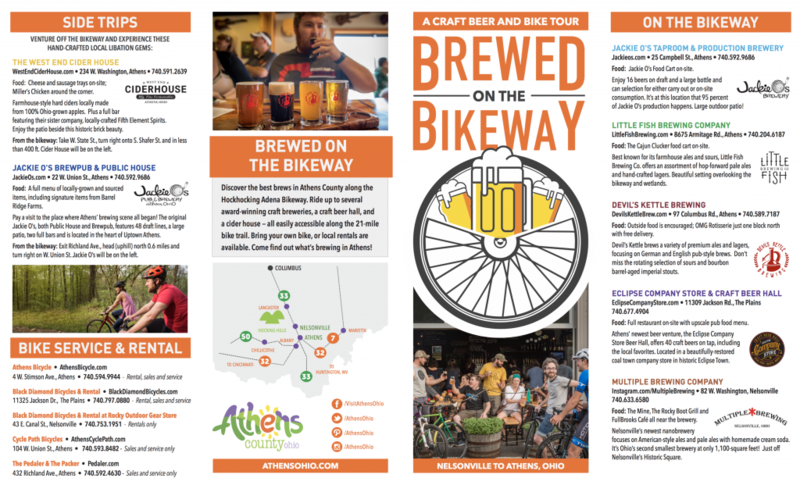 Cue Brewed on the Bikeway, the Athens County Convention and Visitors Bureau’s latest summertime activity for both the novice and experienced bicyclist and craft brew enthusiast. The breweries accessible from the bikeway include the Eclipse Company Store and Craft Beer Hall, Multiple Brewing Company, Devil’s Kettle Brewing, Little Fish Brewing Company, and Jackie O’s Taproom and Production Brewery. 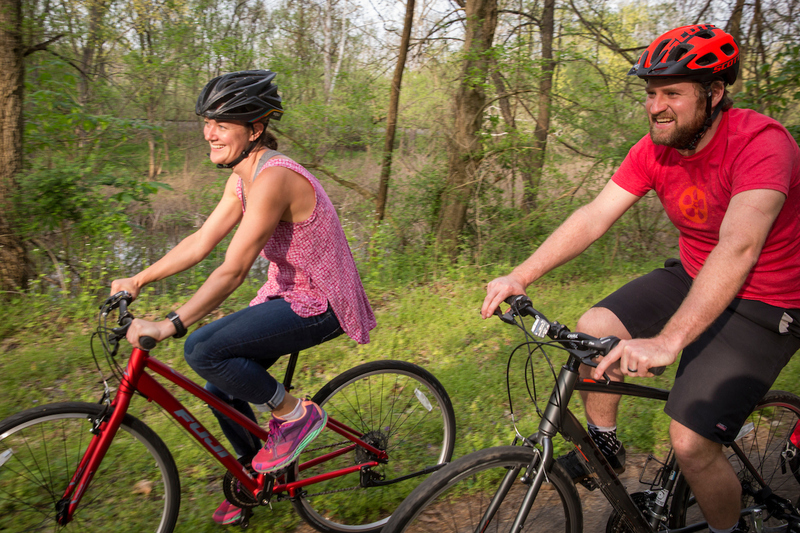 Aside from combining two common topics of passion, Brewed on the Bikeway is also a safe way to experience biking in the region. Alost said that already a number of bikers who have taken advantage of the mapped out brew and bike pairing have told the Athens County Convention and Visitors Bureau about the high quality of their experience. 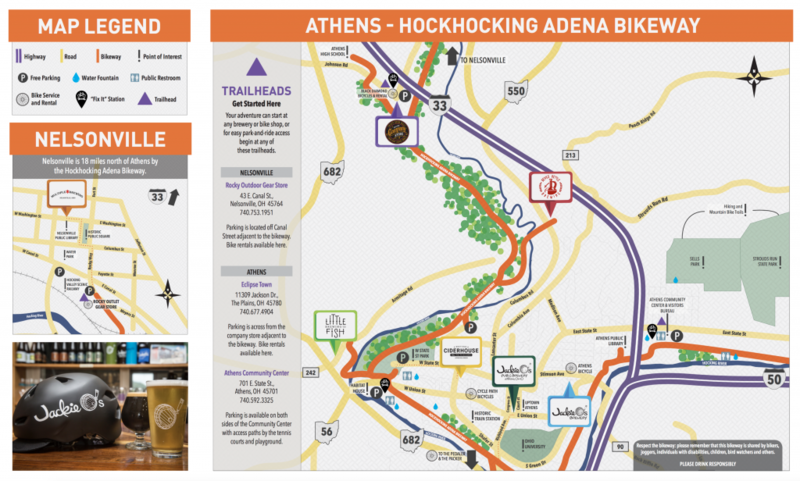 The craft beer and bike tour also highlights various places in the region where one can repair their bike, rent a bike if they don’t have one, and interesting spots in the Athens region that are worth a detour off the bikeway. “This is all about doing what we can as a community to support the things about Athens that we love and that we want to keep around,” said Alost.